A look at the new gluten free and dairy free frozen meals from Kirsty’s, and why I love them! If you’ve followed me for a while, you may know I work long hours, and sometimes don’t get a chance to cook fresh meals every day. I do a little bit of meal prepping and food planning every Sunday for the following week, but by the end of the week, sometimes I just don’t fancy it! So I normally keep a few bits and bobs in my fridge or freezer to whack in the microwave when I get home from work late on a Friday or Saturday night. I know gluten free food is a bit more pricier than ‘muggle food’, however, needs must! And a little bit of what you fancy does you good! One of my favourite brands I keep aside in my freezer is Kirsty’s! Ten years ago, a lovely lass from Lancashire, called Kirsty started business when she realised her son was allergic to nuts, gluten and dairy! You can read the full story here of her journey with Kirsty’s. But what’s more important about Kirsty’s, is their products are nutritious, not full of hidden ingredients, and are naturally tasty and oh so yummy! I first found them in Morrisons in the chilled section, and I’m such a big fan of the slow cooked beef with celeriac mash! They just released a bunch of new gluten free, nut free and dairy free frozen ready meals in Tesco and they are so yummy! First up is their new pizza, which is a classic Margherita. Now, as dairy free pizzas go, they can be hit or miss. The cheese can be too ‘feet’ like and an awful texture on some that I have tried. But on this one, it’s just the right amount, perfectly seasoned, and the base is spot on! Not too dry or too bread-y. I like to add my own toppings such as peppers and onions. This is vegan too, and perfect for sharing! The Bolognese Rigatoni was another frozen ready meal I tried, and this was absolutely gorgeous, you can tell it’s made using real good quality beef and tastes gorgeous. The pasta didn’t go mushy, and it was perfect for when I got in from work. It’s one of your five a day, low in sugars and low in saturated fat. As well as this, it’s also dairy free. The other new ready meals that have been released are chicken tikka masala, with long grain rice. Again this is one of your five a day. And there is also a butternut squash curry if you’re vegan. I haven’t tried these, but I’m sure they will be added to my freezer soon. A lot of their meals are low in fat, sugars and have the calorie content clearly labelled on the packaging, so it’s great for those who like to be a bit more conscious with what they are eating. Have you guys tried them? Let me know what you think! Previous Previous post: The BEST Gluten Free Waffle Recipe. 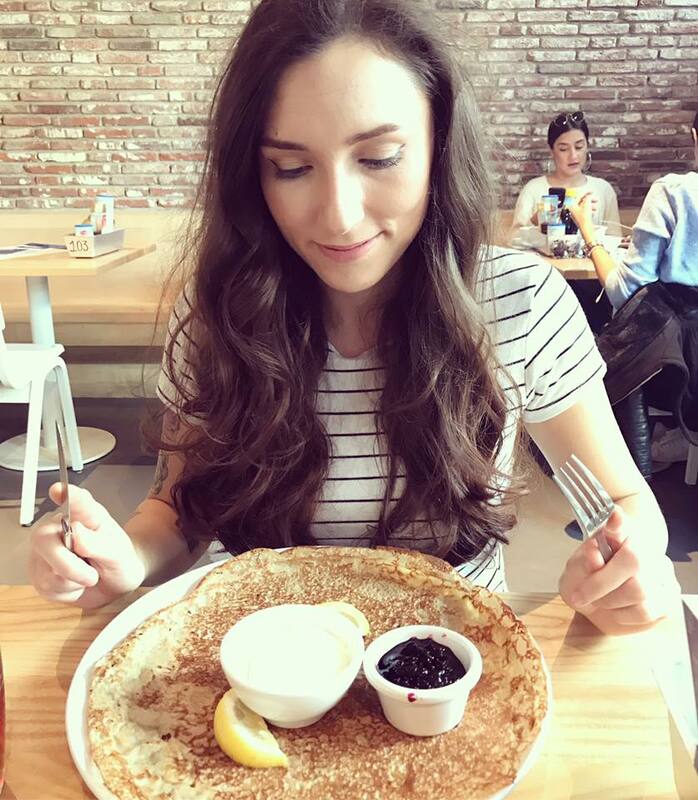 Hi I’m Georgina, a gluten free blogger from the UK, based in Merseyside. I was diagnosed with Coeliac Disease in 2015, and set up this blog in 2017 to share my journey, review products, and share my favourite recipes with the online gluten free community!